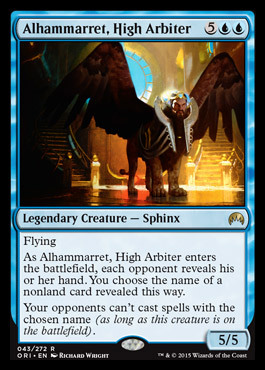 Flying br As Alhammarret High Arbiter enters the battlefield each opponent reveals his or her hand. You choose the name of a nonland card revealed this way. br Your opponents cant cast spells with the chosen name (ias long as this creature is on the battlefieldi).